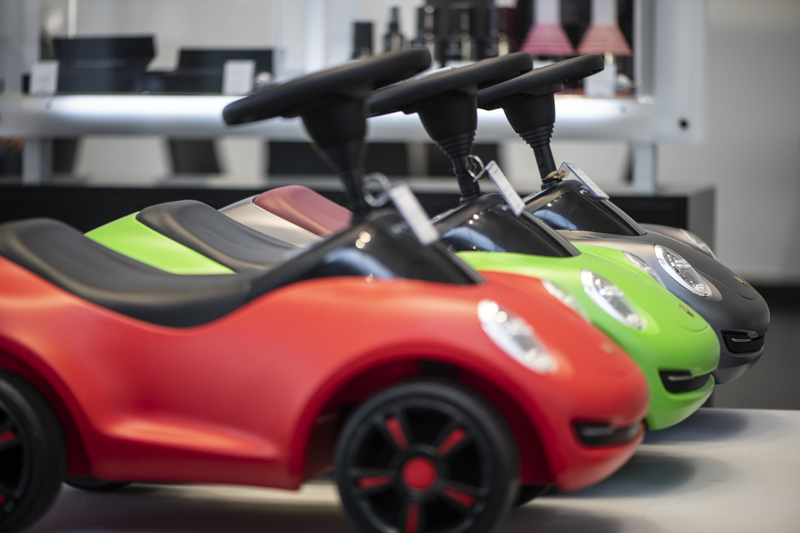 Whether you’re awaiting your first Porsche or your twenty-first, the months, weeks and days leading up to your delivery date are among the most exciting and tantalizing of your life. Within the first moments after you’ve placed your order at the dealership, you have already digested and memorized each and every detail of your new car, probably with the help of the Porsche Car Configurator, and you’ve consumed all available related reviews, articles, photos and videos. 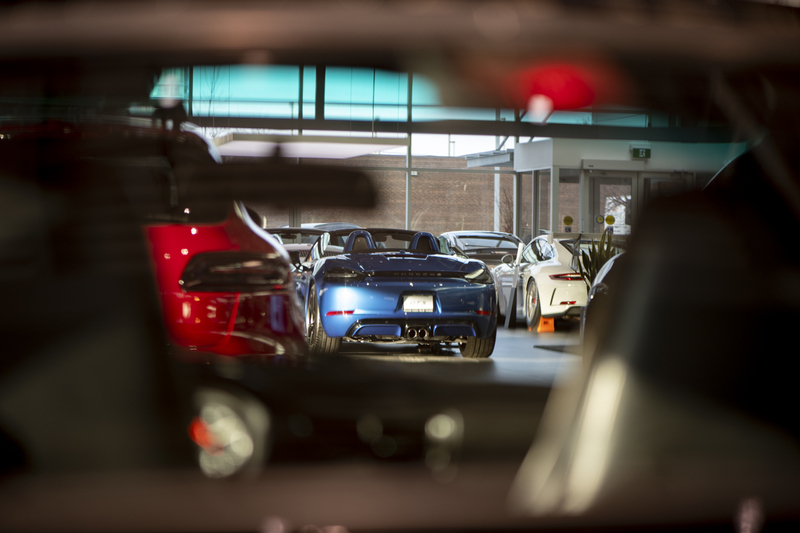 Some of the most exciting and pivotal parts of your Porsche ownership experience transpire at the dealership. You spend nights lying awake, imagining how it will feel to lower yourself into the driver seat for the first time, to breathe in the smells of the new, supple leather, to run your fingers over the unfamiliar, exotic contours, and to experience the guttural, angry vibrations of the car’s first cold start in the dealership. You visualize the bright glow of your Porsche’s lights coming to life, and the car’s glossy, unsullied body slowly creeping away as your sales executivecarefully inches it onto the pavement for the very first time. Taking possession of a Porsche, like driving one, is far more than an everyday errand. It’s a highly-anticipated event. An experience. 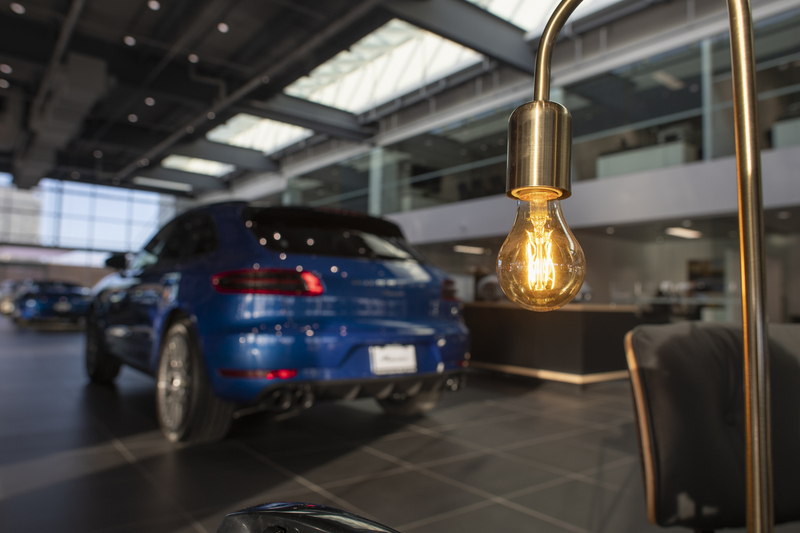 Toronto’s newest Porsche dealership, Porsche Centre North Toronto (“PCNT”), understands this philosophy, and the PCNT team delivers an experience befitting Porsche. 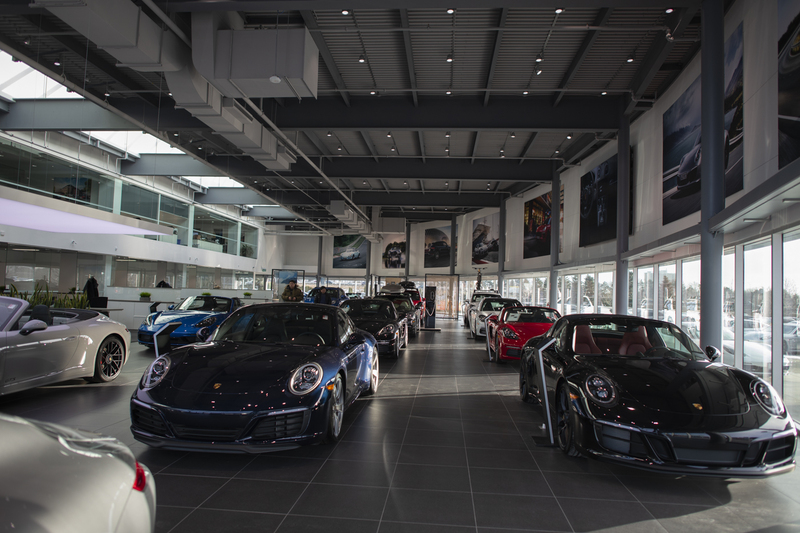 During his tenure as Director, Network Development for Porsche Cars Canada, Cappella identified Toronto, with its growing population and booming Porsche sales volume, as an ideal location for a new dealership. Soon after, he was tapped to lead the ambitious project: select the site, develop it, staff it up, and manage it. 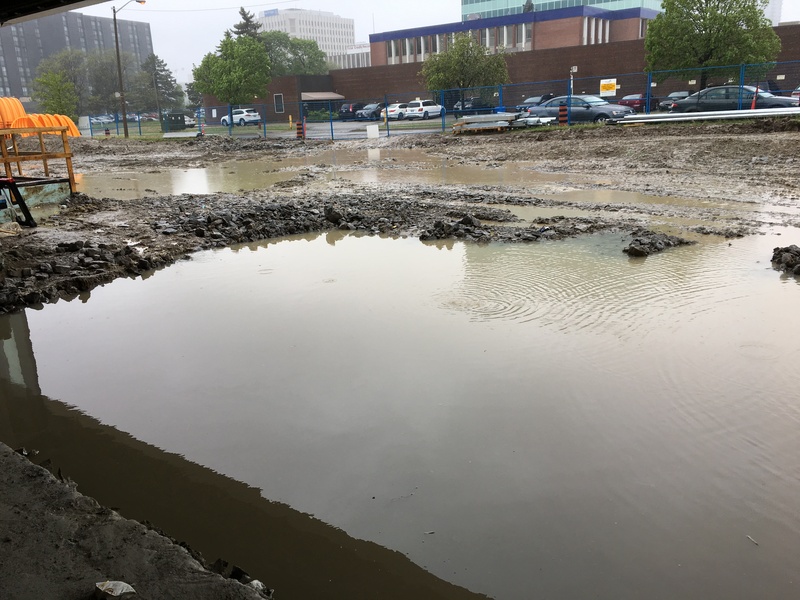 The 165 Yorkland site was chosen for its ideal location to serve clients throughout the North Toronto and surrounding area. 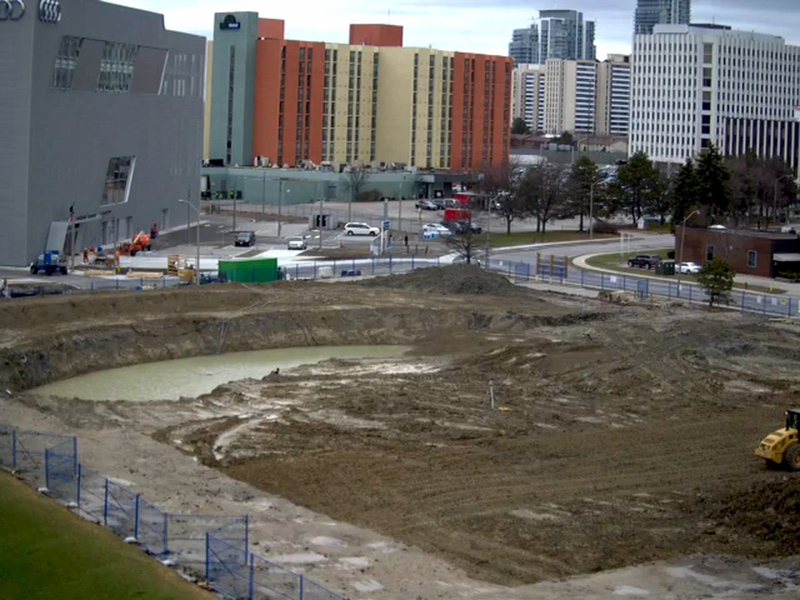 It sits at the intersection of Toronto’s Highway 401 (East-West) and Highway 404 (North-South). 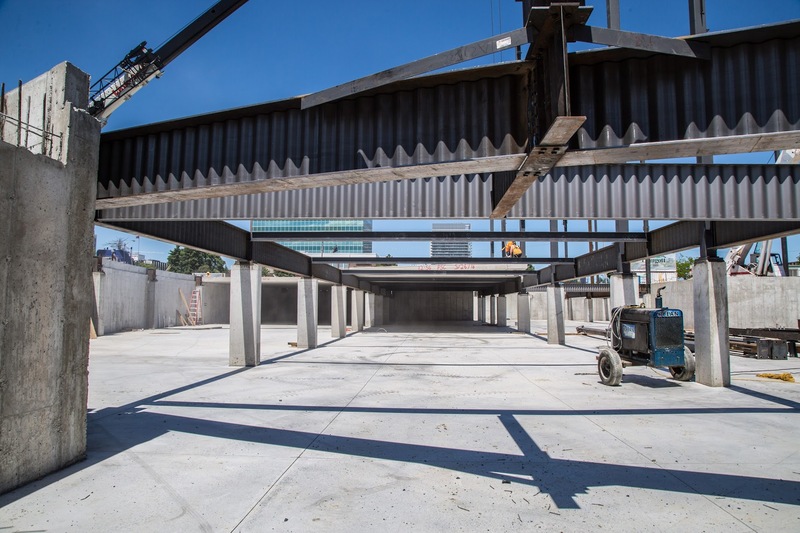 “It was the first property we looked at for the project, and the last property we looked at for the project, as we knew it was the perfect location for Porsche Centre North Toronto,” Cappella explains. Like most entrepreneurial endeavors, the development of PCNT had some humble beginnings. 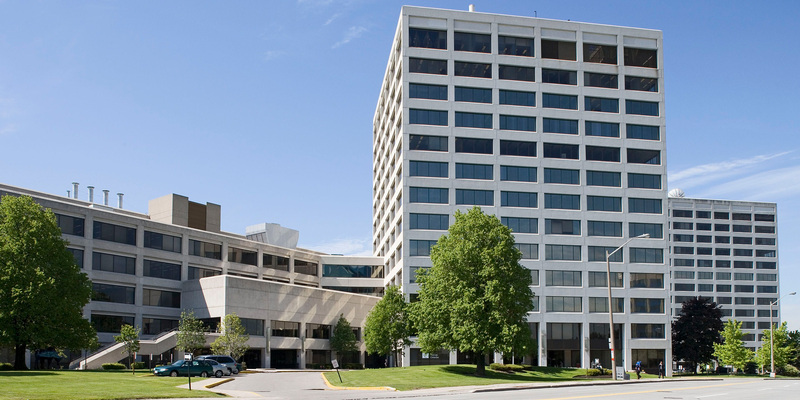 After years of planning and permitting, construction began, and John rented a small office space on the fourteenth floor of an adjacent building to serve as a temporary office for the duration of the construction project. Over the course of the sixteen-month construction period, John onboarded over forty people, fifteen of whom worked in the temporary office. 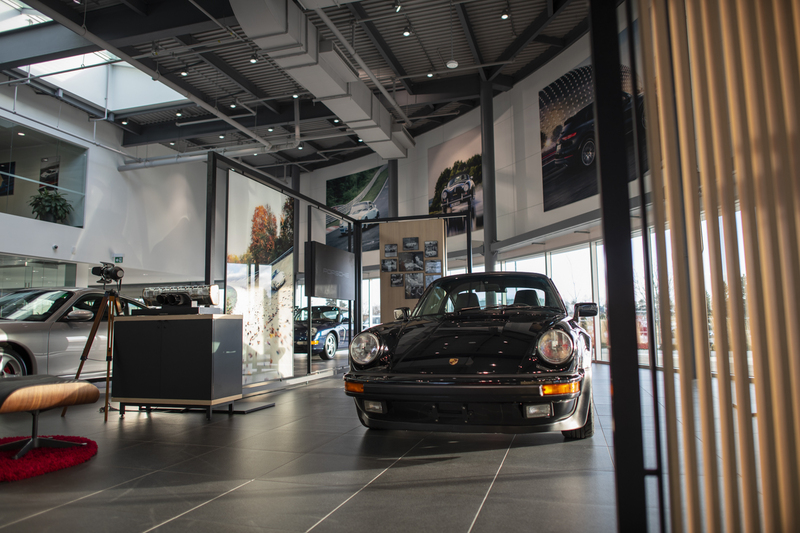 Understandably, the location and size of the temporary office made for a challenging sales environment, but it was one that ended up helping to forge the close-knit relationships and strong team spirit through which the dealership operates so successfully today. One of PCNT’s first sales executives, Victor Emilov, describes his emotions on his first day at the temporary location: “So here we are: first day, walking in, suit is ready, tie is crisp, and I observe my surroundings,” Emilov reminisces, “It was not something I was expecting.” Coming from another premium brand in Toronto, Emilov’s expectations for aesthetic were quite high. Although that temporary location lacked a showroom and most of the other creature comforts that today’s magnificent complex boasts, John and his hand-picked team were still able to attract new customers and sell. “Essentially, we all came together as a team, and we started to bond as a team… and we had customers come and pre-order their first Porsches there,” recalls Bernaudo. At approximately three P.M. on July 28, 2017, John and his team reached a momentous milestone. 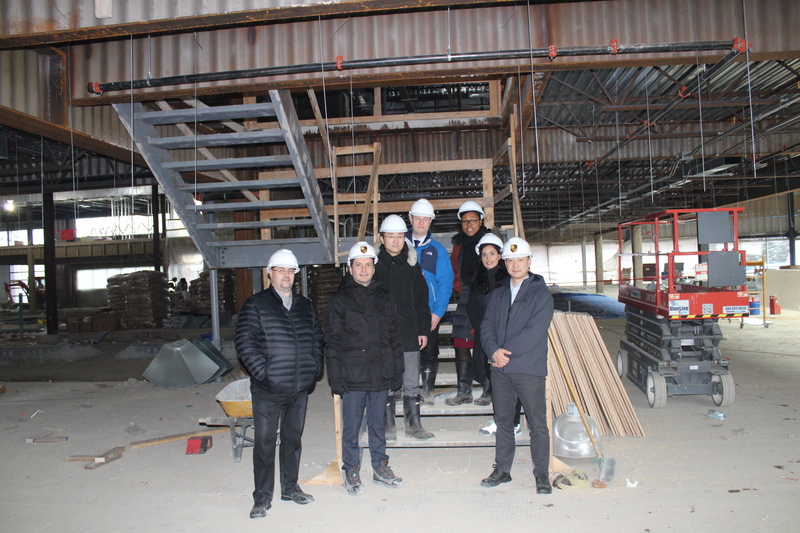 Sixteen months from when construction began, PCNT received its occupancy permit for the new space. Fueled by excitement and adrenaline, the team wasted no time. In a manner characteristic of the team spirit that PCNT’s employees embrace, all hands mustered to ready the facility for opening the very next day. 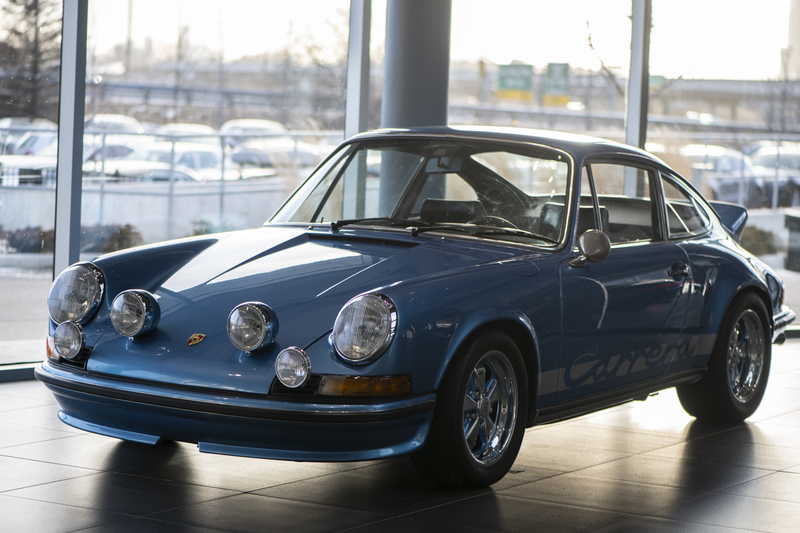 Today, the PCNT dealership is an ultra-modern facility, boasting an extensive selection of new, pre-owned and classic Porsches. 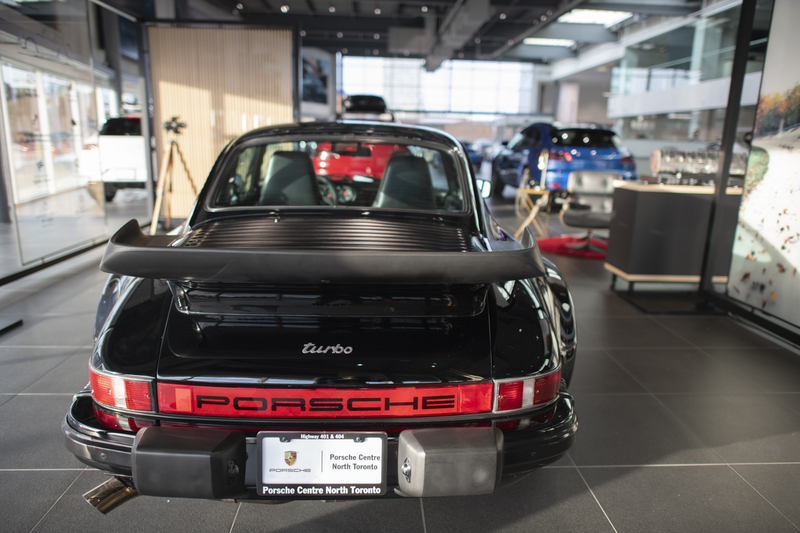 “We’ve been fortunate to see quite a few amazing cars come through the facility,” explains Capella, referencing examples like the 918 Spider, a multitude of rare, limited edition 911s, and a magnificent black-on-black 1986 930 Turbo that sat next to us on the showroom floor during this interview. Moreover, PCNT houses an impressive, state-of-the-art service area, featuring seventeen spotless service bays. Like a well-maintained navy vessel, the entire service area is completely scrubbed every night. 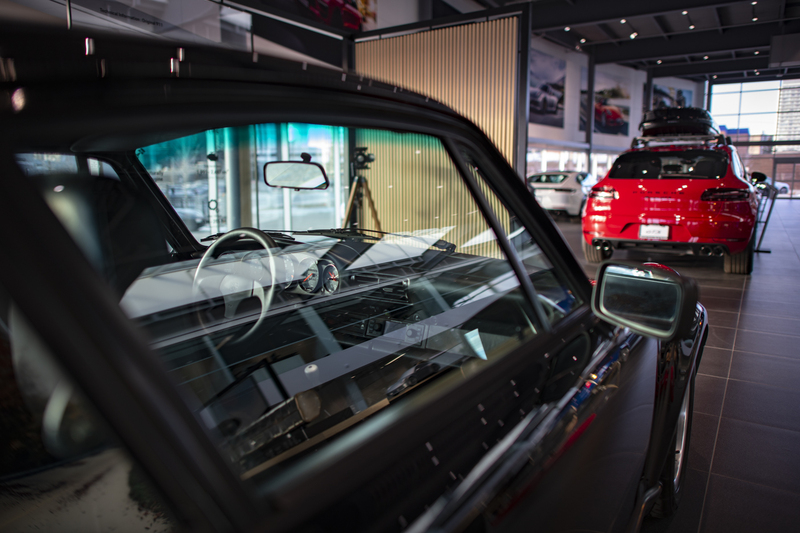 The dealership’s design incorporates a wide window into the service area much like the kitchen view one might experience at a Michelin Star restaurant. Customers can enjoy a beverage from the Carrera Café while witnessing the technicians meticulously at work. The incredible success of PCNT’s opening day proved to portend great prosperity for the year to follow. “While there was no shortage of obstacles, the end result has been great success,” admits Cappella. 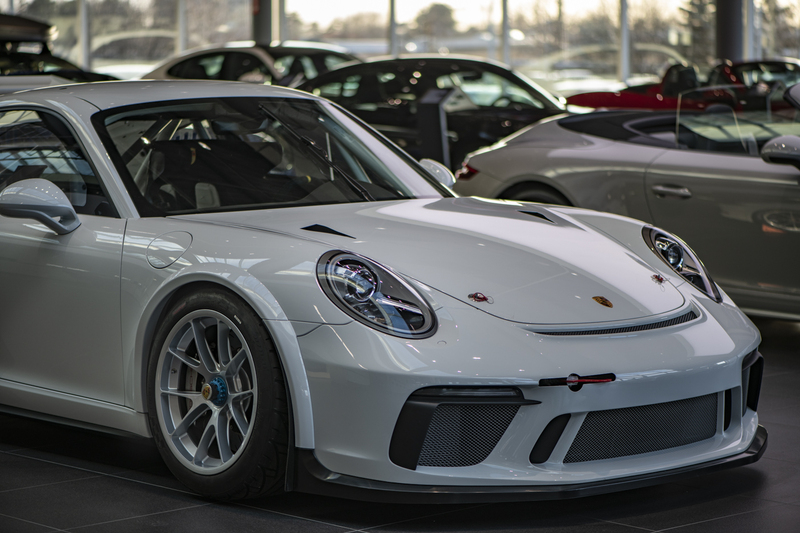 PCNT recently delivered its one-thousandth new Porsche and exceeded all of its expectations for the 2018. On February 6, 2019 PCNT was awarded the prestigious Premier Dealer Award. 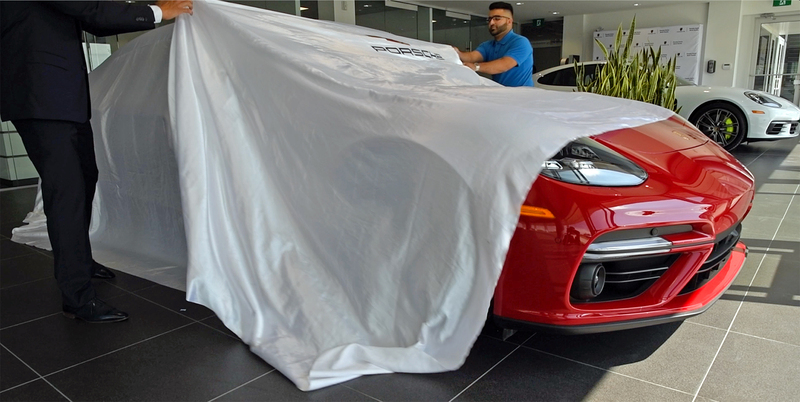 We took delivery of one of Canada’s first Porsche Panamera Turbo S E-Hybrids from PCNT. As such, we had the pleasure of experiencing first-hand the full PCNT treatment, from order through to pick up and subsequent track day event. After warm welcomes from all who had helped us throughout the ordering process, the paperwork necessities were executed quickly and smoothly, enabling us to advance right to the pièce de résistance: beholding the car’s dramatic unveiling in PCNT’s special showroom section reserved for new deliveries. Victor, our sales executive, and Muhammad, the on-site “Porsche Pro,” were extremely patient in answering all of our questions, guiding us through our car’s many features, and helping us to personalize our car according to all of our preferences. From a comfort perspective, Porsche has come a very long way over the past two decades. Driving perfection and handling prowess are no longer the brand’s only focus. Our all-wheel drive Panamera features multi-way electric adjustable seats in both front and rear, which can all be heated or cooled on demand. It also includes double-paned windows for extra noise and thermal insulation, a heated steering wheel, adaptive cruise control, and infrared night vision. Control over whether air from climate control flows in a focused or diffuse manner is an especially elegant touch, and we love the rear-axle steering. Add to these features a full suite of digital amenities and aides that most Porsche owners have come to expect in this age (e.g. Apple Car Play, navigation integrating Google Earth, satellite radio, driving efficiency screens, multi-function steering wheel, multi-directional LED headlights with auto-adjusting high-beams, auto-dimming rear-view and side-view mirrors…), and you get a car that you can live in luxuriously year-round. This E-Hybrid can also run entirely on silent, electric energy for up to 35 kilometers on a single charge in Electric mode. But, don’t be fooled. The Turbo S E-Hybrid is no limousine. In fact, this is among the fastest cars that Porsche produces. Its driving technology comes largely from the Porsche 918 hyper-car. The Turbo S E-Hybrid’s electric motor produces 134 horsepower, and its V-8 twin turbo petrol engine generates an additional 550 horses through a new eight-speed Porsche Doppelkupplung (PDK) system, combining to over 680 horsepower with a maximum torque of 626 lb-ft. Porsche claims that the car can accelerate from 0-100 km/h in 3.4 seconds and achieve a top speed of 310 km/h. On the track (more below) it can overtake 911s weighing fractions of the Panamera’s weight. And the fadeless stopping power of the Porsche Ceramic Composite Brake carbon-fibre reinforced ceramic brake discs never fail to impress. True to his word, the PCNT experience doesn’t end at pick up. 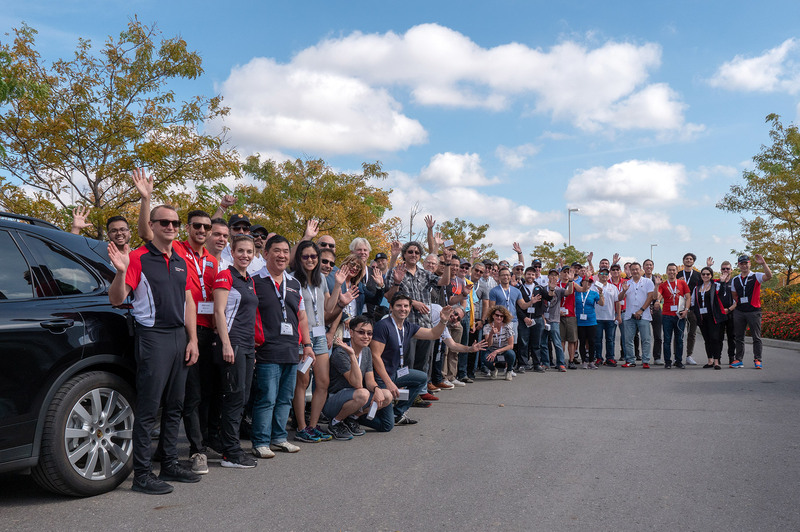 PCNT organizes events throughout the year to bring the enthusiastic staff and fellow PCNT clients together, to admire and appreciate all that is Porsche. One type of such event is the track day. Although most Porsches are dreams to drive on the road (especially on winding, challenging roads), they are engineered for the track. 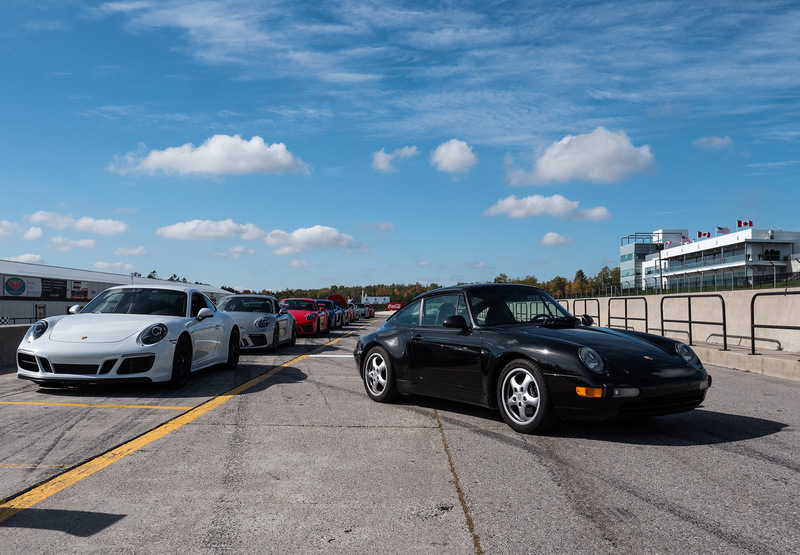 Track days are the perfect opportunities for owners to experience and appreciate their cars’ incredible performance and handling capabilities in a safe environment, and to spend some time bonding with fellow enthusiasts. 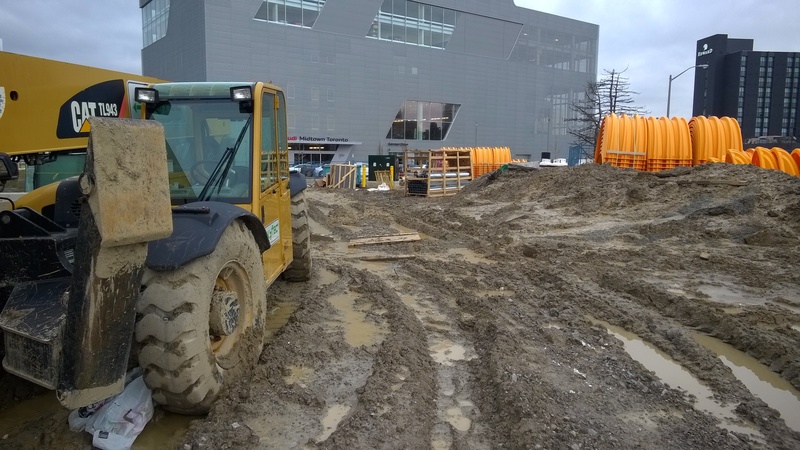 “If you haven’t done it before, go out there and get it done, because it’s a lot of fun,” suggests one enthusiastic PCNT customer of attending a PCNT track day. 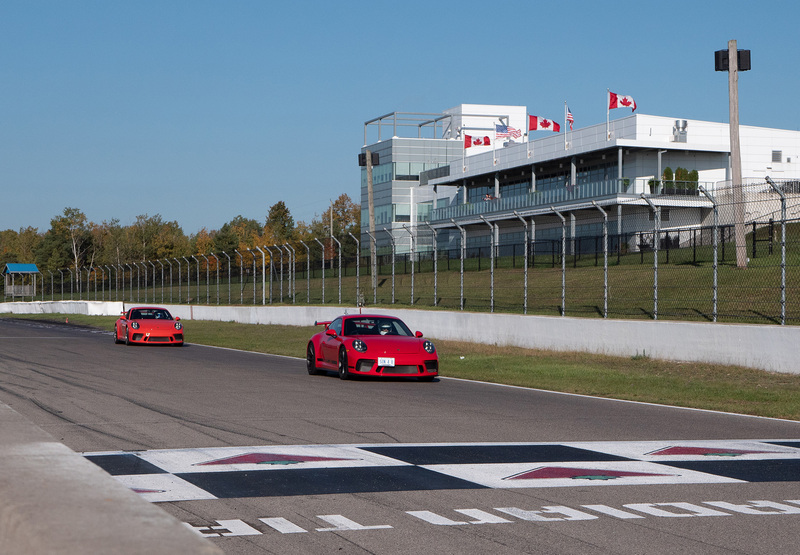 Our track day was an all-day event at the Canadian Tire Motorsport Park race track, formerly known as ‘Mosport,’ which is located just north of Bowmanville, Ontario, about one hour north-east of Toronto. PCNT divided the participants based on skill level: beginner, intermediate and advanced. As a result, seasoned track veterans and first-timers alike experienced exhilaration and challenge at a pace appropriately safe and comfortable. 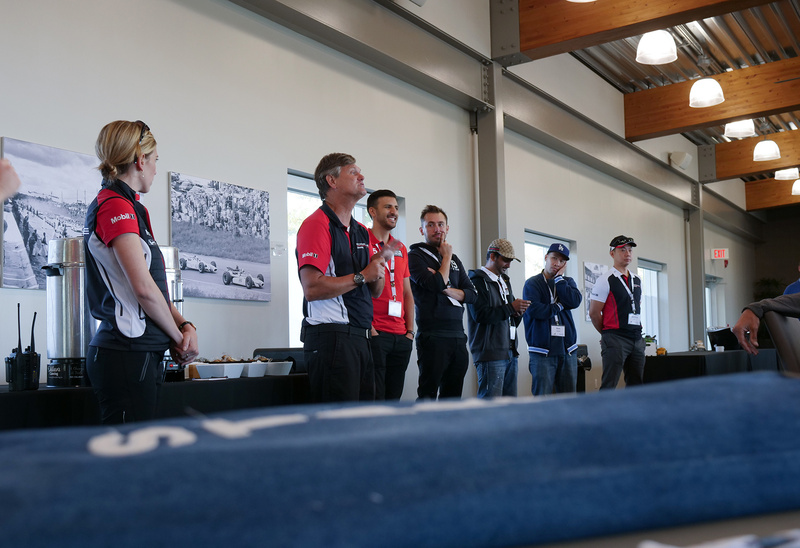 All drivers began the day with an introduction and high-level overview of the track, the do’s and don’ts. The experienced driver group then took to the track for a few warm-up laps and a twenty-minute driving session. Advanced drivers were free to pass each other in designated passing zones. Beginner and intermediate drivers followed in two subsequent groups, each on the track for twenty minutes. Unlike the advanced group, these two groups drove in ‘lead-follow’ formations. 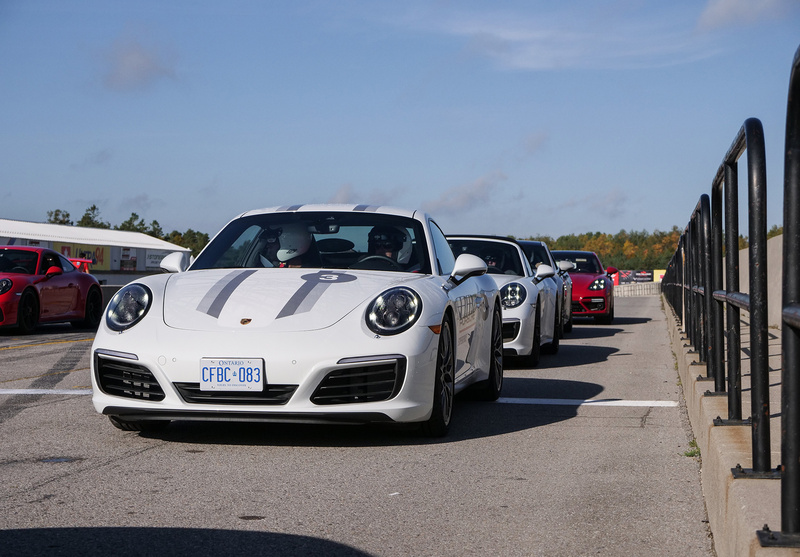 A Porsche driving instructor set the pace in the lead position, with three to four participants following behind, matching his speed and line. 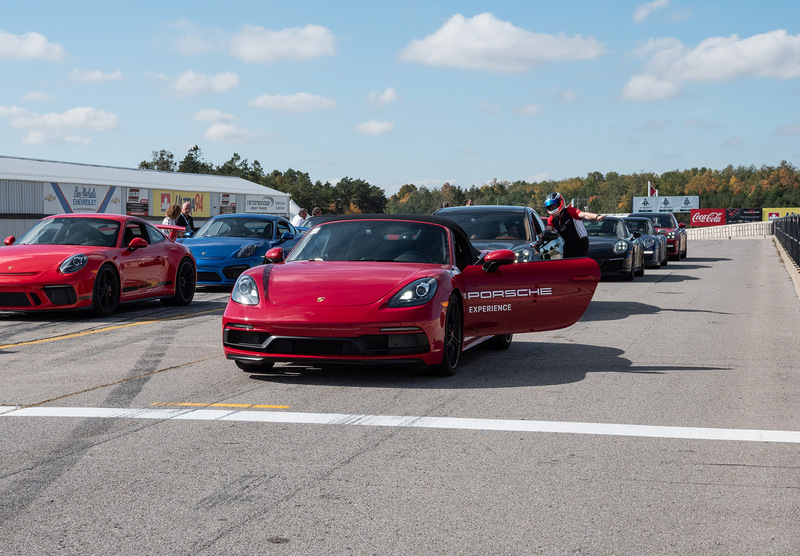 Porsche placed a radio in each participant’s car through which the instructor explained what the drivers should do at each point along the course. 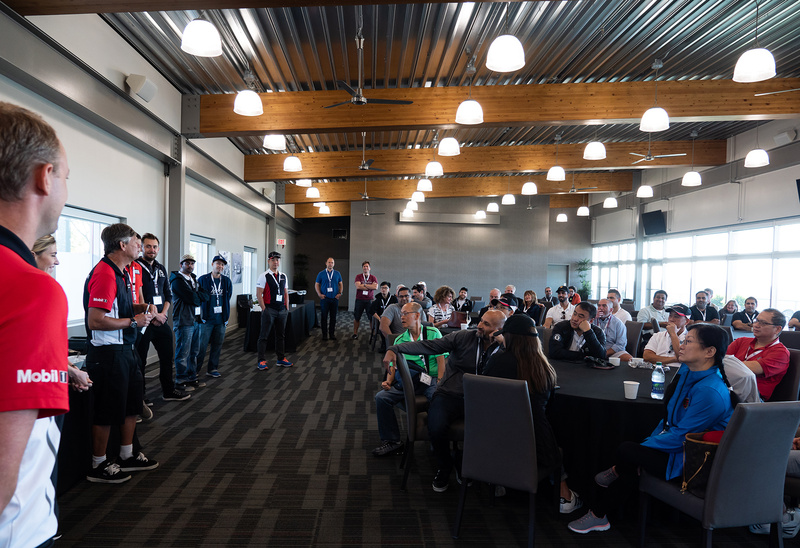 Throughout each twenty-minute session, the instructor directed the drivers to change positions in the pack so that each driver would have a chance in each position. As the day progressed, the lead car’s speed increased permitting drivers to push their cars closer to their limits. Having never driven a car as heavy as the Panamera Turbo S E-Hybrid on a track, we opted to join the intermediate lead-follow group. As heavy as the Panamera (2,170 kg) was compared to the 911s (1,515 kg) and 718s (1,335 kg) on the track, it outperformed most of them. It handled beautifully, slowed into corners reliably and urgently, and accelerated like a beast on steroids. In Sport and Sport+ modes, the Porsche Dynamic Chassis Control Sport with Porsche Torque Vectoring Plus kept the car extremely level, stable and agile through the corners, instilling in us a sense of confidence and precision reminiscent of Porsche’s smaller, lighter models. In most cars, it is advisable to switch off air conditioning on a race track so as not to sap energy from the engine that could otherwise contribute to performance. Not so on modern Porsche models! The car will automatically reduce power to the A/C if it needs that power for performance. The result? A much more comfortable track experience. As enjoyable as the day’s driving component was its social element. During the delectable and bountiful lunch and while resting between track sessions we had the pleasure of chatting with and getting to know fellow enthusiastic PCNT customers. Bonding over a shared passion for cars, driving and Porsche with fun-loving, interesting personalities of diverse background was immensely rewarding and fulfilling. We have never attributed the “TrackWorthy” description to a dealership — usually, we reserve that for cars. 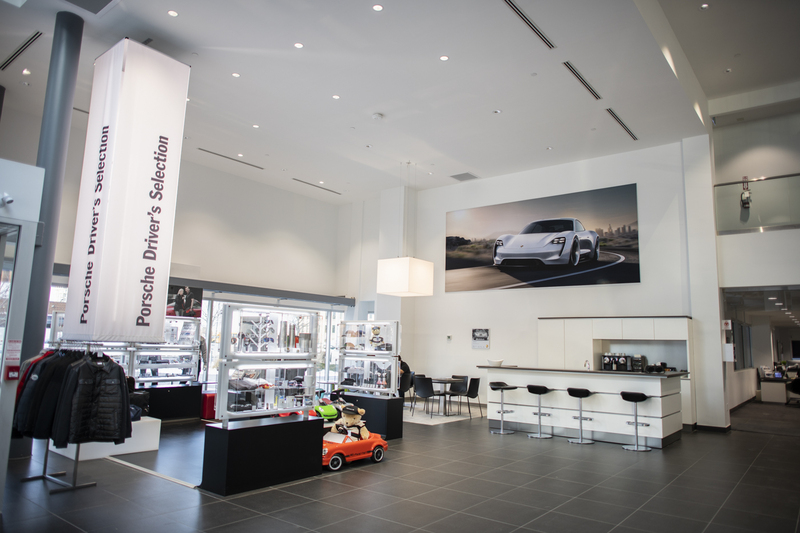 However, there is no question that Porsche Centre North Toronto deserves our designation. PCNT delivers an exceptional experience from browsing, to ordering, to delivery, to service, and beyond to customer events. 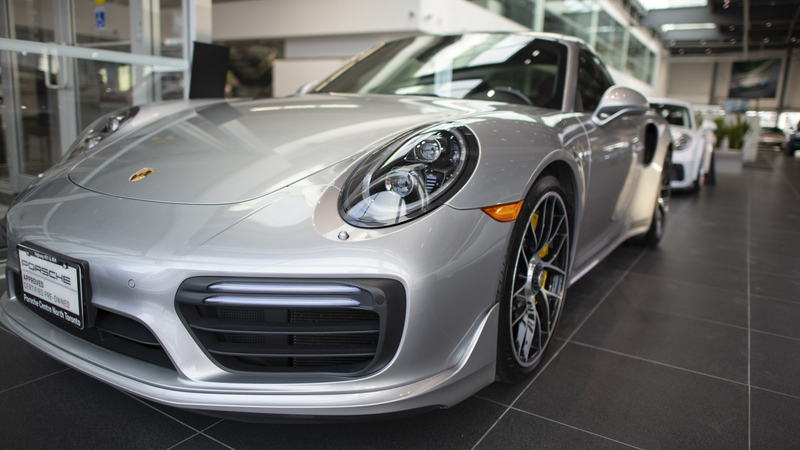 If you are in the market for a Porsche, or you are a Porsche enthusiast, stop in at 165 Yorkland Boulevard. You won’t be disappointed. © COPYRIGHT 2019 TRACKWORTHY GROUP LTD.